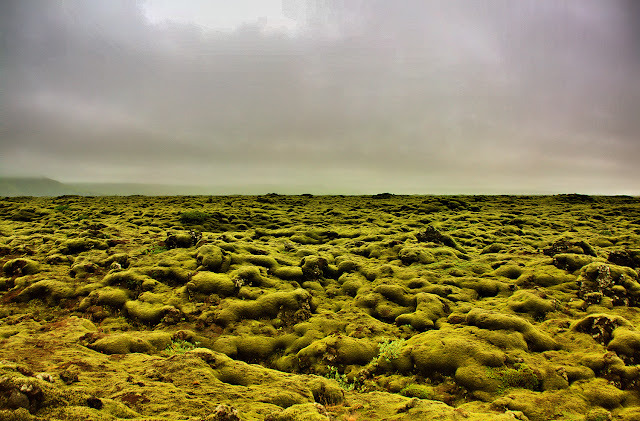 In Iceland we often pass these landscapes of lava covered in moss. Here is an HDR of one of those shere endless fields along the southern coast. Did you think that that is what lava fields look like? I love the organic look of the landscape. It looks all soft and cushy, but once you stand close, it looks like you can not even think of walking over that scared and bubbled ground. You shouldn't anyways, since the ecosystem gets destroyed if you trample the moss.